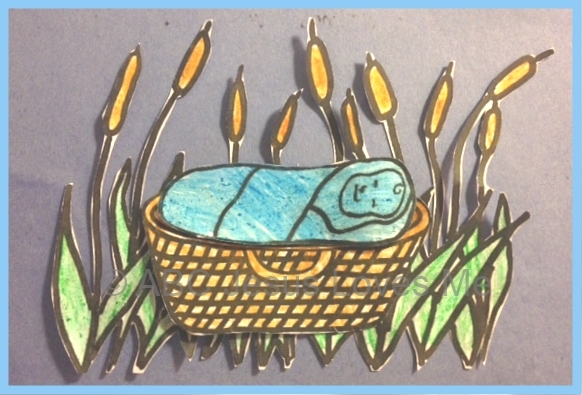 - " Baby in the Basket" Craft: Print the Baby Moses Craft page and color and cut out the basket and baby. Cut a piece of blue construction paper in half. Glue the baby in the basket and glue both in the middle of the paper. Cut a piece of green construction paper approximately 3" wide. Draw vertical lines on the back of the green paper 1/2" apart stopping the lines 3/4" from the bottom. Have the child cut the lines being careful to stop at the end of the drawn vertical line. Roll the cut "grass" around a pencil to curl. Glue to the blue construction paper. 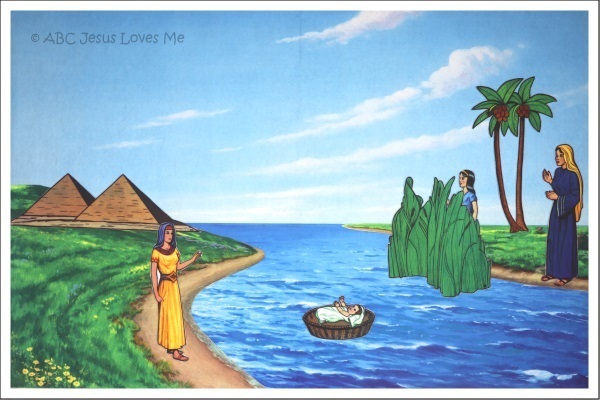 Add the title "God Watched Over Baby Moses." Place pretzel sticks at the bottom of a paper bowl. Cut a banana in half for the body used two chocolate morsels for eyes. Cut a Fruit by the Foot piece to cover the other end of the banana as the blanket. Use green sour strings for the reeds and lay them around the bowl. 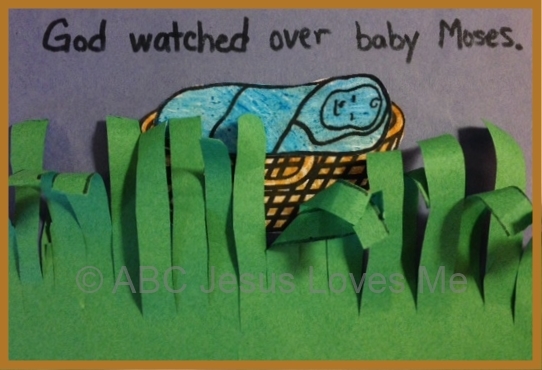 Tell the story of Baby Moses while making the snack. Thank you Erin for sharing this idea.